Your resource for all things shoegaze and dream pop: Interview: Clint Sargent of the High Violets & Starry Saints. Interview: Clint Sargent of the High Violets & Starry Saints. 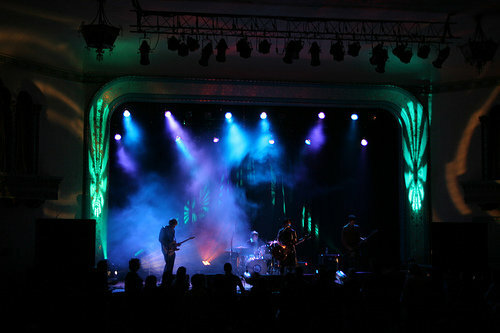 The High Violets are Clint Sargent, Kaitlyn ni Donovan, Luke Strahota, and Colin Sheridan, and are based in Portland, Oregon. The band was born out of the ashes of the popular Portland act The Bella Low, who performed regularly with The Dandy Warhols. The High Violets self-released their first EP, Dream Away, in 2000, and immediately started getting attention with their lush sound that was heavily influenced by the dreamy soundscapes of MBV, Ride, Spaceman 3, Lush, and Cocteau Twins. Since then, the band has gone on to release 2 more EPs (44 Down in 2002 and Invitation in 2005), an album of remixes (Satellite, 2007), and two LPs, To Where You Are (2006) and 2010's gorgeous Cinéma (released September 1st on Comet Rock Records). 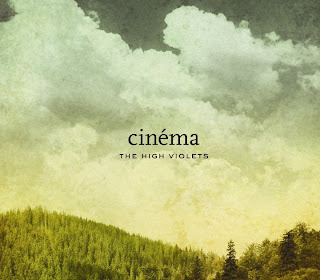 With every release, The High Violets grow more and more impressive, and Cinéma is without a doubt one of this blog's top releases of 2010. When The Sun Hits is excited to bring you the following interview with Clint Sargent of The High Violets, a shoegaze/dream pop band who hasn't stopped steadily rocking for a decade, and who is also a member of the Starry Saints, a band you definitely need to check out, as well. 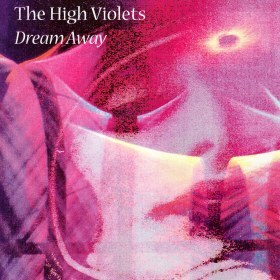 The High Violets are already legends that are still rising, and musicians of the highest caliber. Enjoy getting to know Clint! Luke and I formed the band with Violet Bianca Grace. 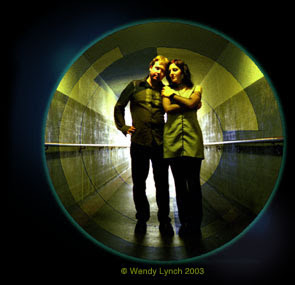 The three of us were in a band called The Bella Low that opened for The Dandy Warhols often, but broke up around 1999. 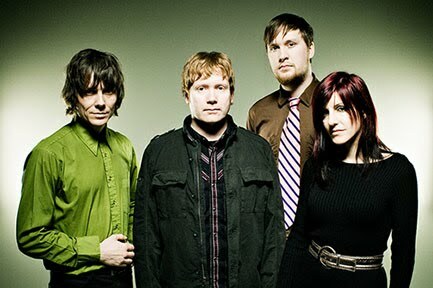 This lineup existed for only a few months before Grace quit. Allen Davis then came in to play bass and Kaitlyn, who was a friend of ours, offered to play with us, although she really just wanted to back us up at first. 2. 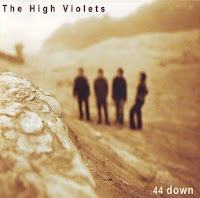 Where does the name "The High Violets" come from? The name came from an Eric Burdon and the Animals song called "Sky Pilot". It was a song I use to listen to and while I was playing it one time Violet Bianca Grace heard it and she thought he was singing "high violets". Probably influenced by her name, but after she said it it seemed like the name we were looking for. 3. Do you feel like you guys are a part of the new shoegaze scene? Yeah, for sure! 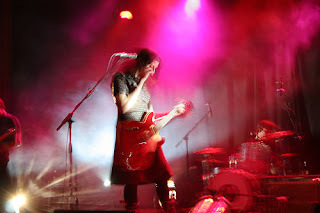 When we first started to get press people were excited that we had similar sounds as some of the first shoegaze bands that had gone extinct in the wake of the grunge explosion. We could feel the appreciation. 4. What artists have most influenced your work? 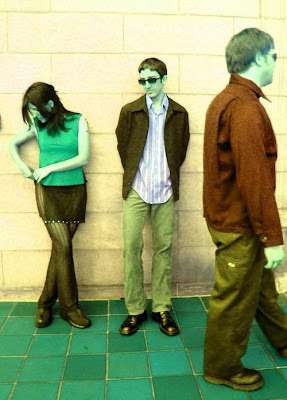 Well, when we started: Lush, Ride, Slowdive as well as Mojave 3 were all bands Kaitlyn and I in particular were listening to. But, one that people might not guess is Oasis. Just love the big hooks! 5. Tell us a little about what you are currently into (bands, books, films, etc)? 6. What sort of set up/gear do you use? What is the most important piece of gear for your sound (i.e. pedals, guitars, drums, etc.)? 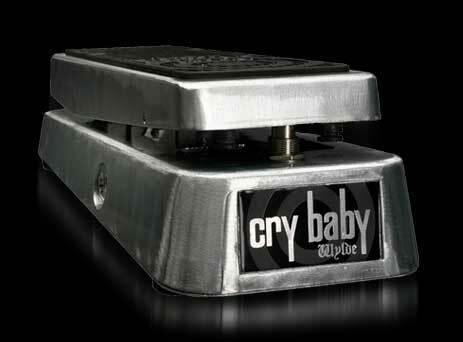 I use a Vox AC 30 amp with a Fender Telecaster and also a Gibson Les Paul. 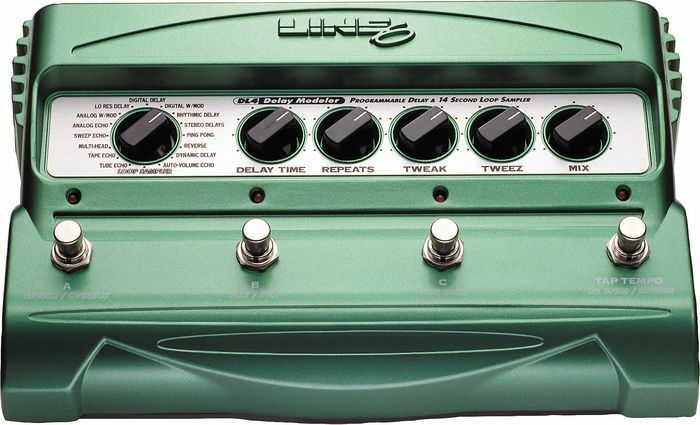 For pedals: I've always used a Line 6 delay effects pedal with a Dunlop Crybaby pedal, but now with Starry Saints I've added a second delay with a dotted 8th. I've got a cool fuzz pedal called "The Sweet" and a couple of other overdrives. The most important piece would be the Line 6 with modulation. Wouldn't be the same without it. The High Violets. Midnight's Child. We've met so many classy people from releasing our music: Soundpool, Foxtail Sommersault, the Sky Drops, Hypatia Lake, to name a few. 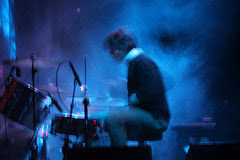 And of course Ulrich Schnauss, who was kind enough to remix our song "Chinese Letter". Just spent some time with him in fact. He was in the Northwest doing a few shows. 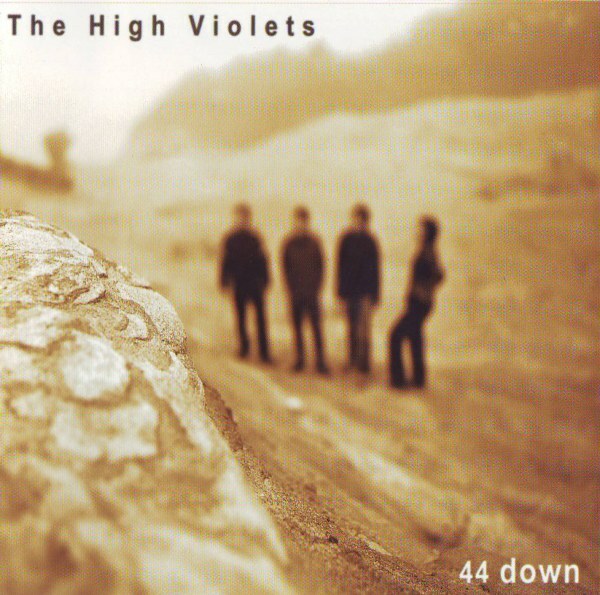 The High Violets. Chinese Letter (Ulrich Schnauss Remix). 8. How do you guys write? Do you each bring in finished work, or do you write as a full band? We used to write as a band. 44 Down was done this way in that I brought some songs and then we fleshed them out in the practice space. These last two records have been more studio experiences with either Kaitlyn having a song or me and then our producers helping flesh them out in the studio. 9. Will you guys tour at all for this new album? At this point we aren't planning a tour being that we're busy with other projects. 10. What is your philosophy on life, if any, that you live by? Personally, be kind and respectful. Love others, everyone is beautiful! i love "cinema" very very much! this is really neat. Love this band. It's coincidental that I used to listen to "Sky Pilot" all lot as well. Great interview!